TORONTO (Scrap Monster): The latest survey report prepared by Moore Recycling Associates for the Canadian Plastics Industry Association (CPIA) indicates that recycling of post-consumer plastics packaging increased 9% across Canada during 2013, when compared with the previous year. The increase is primarily attributed to increased purchases by domestic reclaimers. According to the report, the country collected 311.5 million kilograms of post-consumer plastic packaging during the year. 84% of the reported material was reclaimed in Canada or the US and 15% was exported to overseas markets. The destination for the other 1% remained unknown. The collection of all categories of reclaimed plastic showed increased collection in 2013 on yearly basis. The highest collection growth rate was witnessed in bottle and film categories. The plastic bottle collection witnessed a jump of 13 million kilograms during the year. The collection of plastic films too posted a growth of 10 million kilograms over the previous year. Meanwhile, recycling of non-bottle rigid plastics increased only slightly over 2012. Plastic bottles continued to make up the majority of recycled plastic, followed by Non-bottle rigids and films. 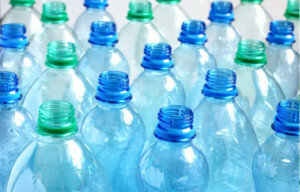 PET and HDPE made up majority of post consumer plastic recycled in Canada. The majority of the PET is from bottles, accounting for almost 90%. However, the share of non-bottle rigid PET had doubled from 5% in 2012 to 10% in 2013. The results are derived from a voluntary survey of more than 500 companies including reclaimers, exporters, brokers, material recovery facilities (MRFs) and other handlers of used plastics that handle recycled plastics in North America.